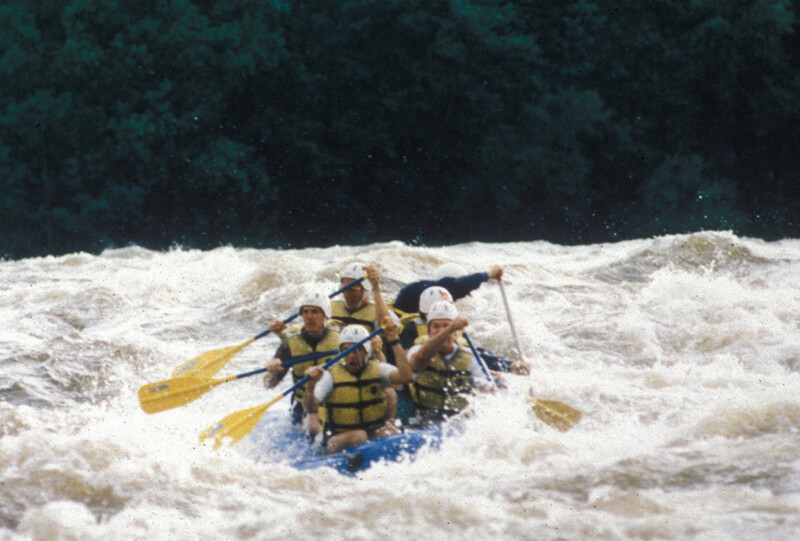 Columbia, S.C. – American Rivers and its Congaree River Blue Trail partners hosted a celebration June 27, 2008 marking the one year anniversary of the dedication of the Congaree River Blue Trail and its recent designation as a National Recreation Trail. The celebration consisted of a ceremonial paddle from the West Columbia Amphitheater Landing across the river to the Senate Street Landing in Columbia. American Rivers also unveiled a new waterproof map and interpretative guide of the Congaree River Blue Trail. 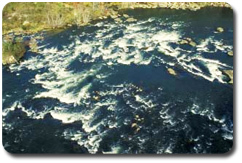 The online interpretative guide tells a broader story of the Congaree River and includes information on safety as well as cultural, historical, and natural values of the Blue Trail. The online guide includes a slideshow tour welcoming visitors to the Blue Trail. 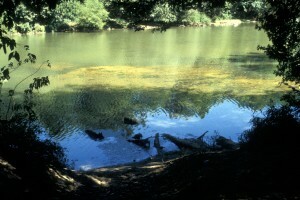 Video podcasts on the river’s history, culture, and environment will be added in coming months. 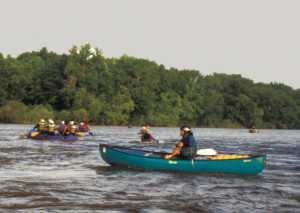 Blue Trails, also known as water trails, are the river equivalent to hiking trails. They are corridors developed to facilitate recreation in and along rivers and other water bodies. Blue Trails are found in urban settings as well as in remote environments. They come in all shapes and sizes and are used by paddlers, anglers, hikers, runners, picnickers, and those just seeking a bit of solitude. American Rivers is working to build a constituency for protecting these community rivers through its Blue Trails Initiative. American Rivers convened a diverse group of partners to develop this blue trail including Congaree National Park, Friends of Congaree Swamp, Congaree Land Trust, South Carolina Department of Natural Resources, The River Alliance, and Richland County Conservation Commission. 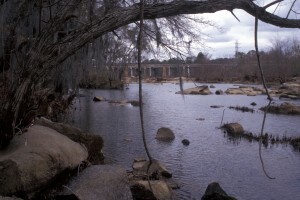 You can also check out the National Park Service’s website on the Congaree River Blue Trail.